I have four dinosaur fans in my house. As a mother of four boys, I've learned more about dinosaurs and read more dinosaur books than I ever thought I would. 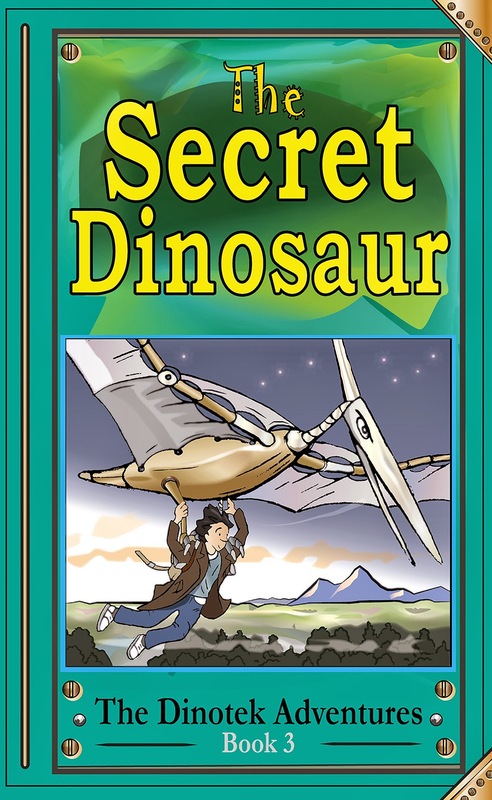 But I've stumbled on a dinosaur chapter book series with a unique twist. This Dinotek series, by NS Blackman, is a marriage of machine and dinosaur in a very unusual way. 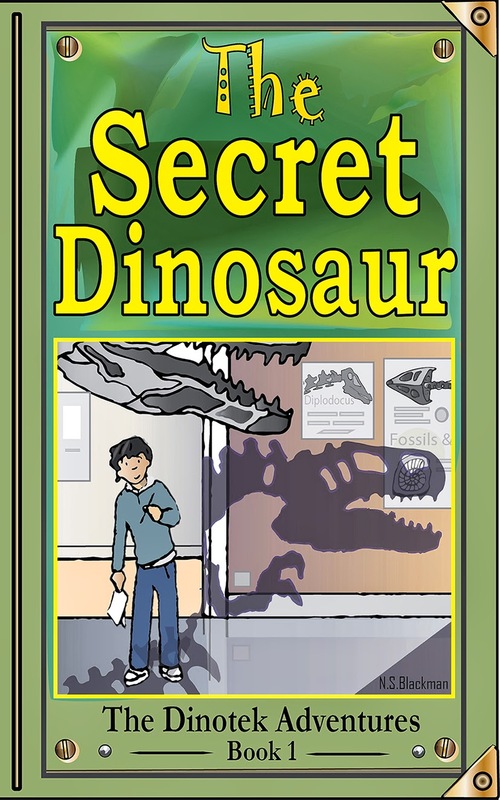 In this illustrated chapter book, Marlin Maxton heads over to the museum with his school group, and he discovers more than he'd ever thought to see--dinosaurs made of metal. Their machinery isn't moving and his inventor uncle advises him to clean them. Evenings Marlin could've spent playing video games were spent wiping down dinosaurs, small and large. Then he discovers their batteries, a man who wants to sell them as scrap metal, and a cockpit inside the T-Rex. Time for an adventure! I enjoyed the pairing of machine and dinosaurs and museum. It felt unusual. It also felt like it inspired kids to tinker, which is a valuable lesson to children everywhere. I look forward to reading the sequels (how will Maxton defeat the greedy museum worker?). 5 enthusiastic stars. Love these illustrations. They add sparkle to the well-written tale and are a good match for an imaginative-machine story. 5 lovely stars. A. Hmmm… probably Uncle Gus, the adult in the book who helps the boy hero Marlin through the adventure. I like old machines and making things – just like he does in the books. A. 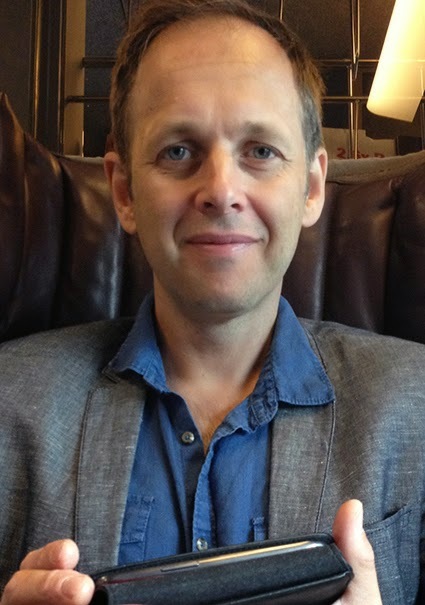 Using my imagination to create something that people enjoy – when readers say they’ve liked my work it’s a great feeling. A. Telling stories – to my children and my friends. I also love reading of course. A. When you know something isn’t quite right but can’t work out how to fix it. You just have to give it time – I often go for a walk to get fresh ideas. A. I’d like to do lots of things for a few weeks at a time. I think most people would be a lot happier if they could do a mixture of jobs – fresh air, helping people, using your creative skills – these are all the things that make us happy. So perhaps a tour guide to London – I love living here and showing people around it. A. It’s changed at various times of my life but they include Pride and Prejudice and The Lord of the Rings. A. If I have to choose probably Watson in Sherlock Holmes – observing and recording all the action going around him! A. The Hobbit – I would spend a lovely couple of days in Hobbiton, have a pint at the Green Dragon and see if I could get myself invited to a party! A. Autumn, definitely – I’m not sure why but I’ve noticed that it’s the time of year when I feel most creative and enthusiastic, whatever I’m doing. As the nights draw in there’s definitely something magical in the air! 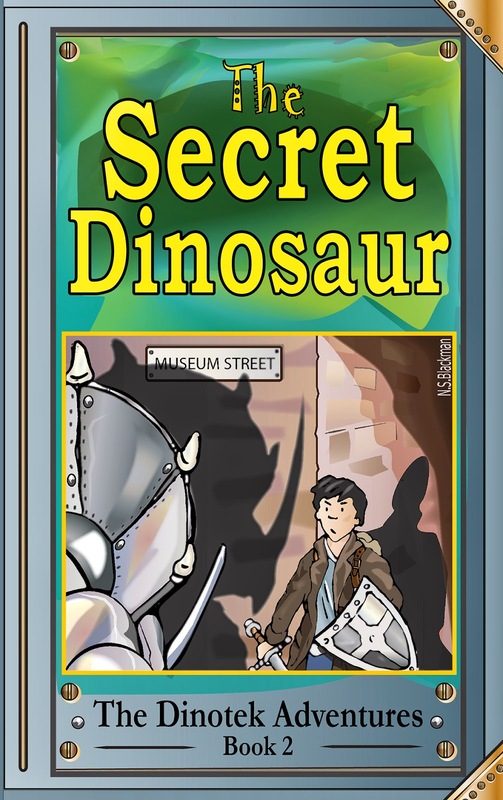 The Secret Dinosaur covers definitely have a ‘traditional’ feel, which I think suits the museum setting of the stories, and the tone of the writing. I hope they stand out and are attractive to look at. I really love illustrations and I still have many of the books which I spent hours looking at as a child. People notice the ‘Tintin’ influence in my pictures – less well known are the wonderful ‘Rupert Bear’ annuals of the sixties and seventies - these are amazing works of pen and ink art which I still treasure. A. I get some lovely interruptions when I’m doing school readings. Young readers are always very diligent about correcting me if I get the name of a dinosaur wrong. I do like this – it’s wonderful for a child to feel like an expert and even better if they can correct an author during his talk! A. Yes, yes, yes – I’m always writing and drawing. I’m going to add to my Dinotek short stories for pre-school children (The Amazing Dinoteks) and I’ve got two more Dinotek longer books coming along and two other children’s book projects lining up behind. The only thing standing in my way is time! A. If you come across an old mechanical dinosaur, be nice to it! Want to find out more about the Dinotek series? Check out Blackman's website, and GoodRead links to Book 1 and Book 2 or click on the covers above and you can read the reviews and buy the book on Amazon.